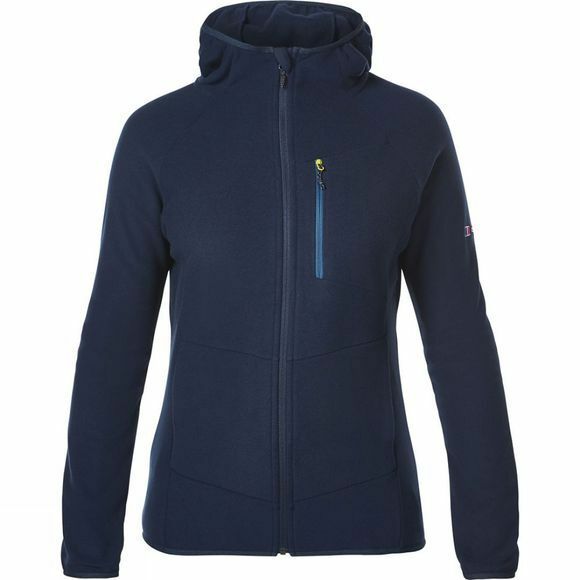 Berghaus have created a casual full zip fleece that's ideal for everyday adventures. The Womens Verdon Hooded Full Zip Fleece offers warmth and performance while looking great. A bonded chest pocket and stylish grown on hood add a technical edge, combined with side entry hand pockets makes this a must–have throw–on piece for any woman who enjoys the outdoors.